Israel is all set to wage its war on Iran. This is what the local Israeli Media are fueling up. Constantly igniting the people of the country and its western allies posing Iran as the single most dangerous nation in the world, is something unacceptable. How many times did they attack a nation for ‘No reasons’ at all? After looting its country, they term it was a mistake. Yep, i am speaking on US who fell for the words of the Israeli leadership, attacked Iraq terming the war as War on Mass Weapons, in the end the former President Bush, came up with the word, “It was a mistake to attack Iraq”!!! History is all set to repeat itself, i think. The recent rough confrontation between US and Israel which the west media failed to highlight in their newspapers might interest you users. Israel refuses to alert Washington, if they are to wage war on Iran. President Obama, who felt the need of control, urged his trustees to address Israel and gain their word on the matter, might be left with a disappointment hat. Officially, his brief was restricted to the Middle East peace process, but the most important part of his mission was a private meeting with Mr Netanyahu and Defence Minister Ehud Barak. 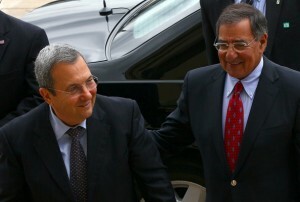 Once all but a handful of trusted staff had left the room, Mr Panetta conveyed an urgent message from Mr Obama. The President, Mr Panetta said, wanted an unshakable guarantee that Israel would not carry out a unilateral military strike against Iran’s nuclear installations without first seeking Washington’s clearance. The two Israelis were notably evasive in their response, according to sources both in Israel and America. ”They did not suggest that military action was being planned or was imminent, but neither did they give any assurances that Israel would first seek Washington’s permission, or even inform the White House in advance that a mission was under way,” one said. Alarmed by Mr Netanyahu’s noncommittal response, Mr Obama reportedly ordered the US intelligence services to step up monitoring of Israel to glean clues of its intentions. I am shocked to know US is all set to monitor Israel actions. They never did that in their entire life. Some say US Government is waking up, i say whats the point in waking up after losing everything. You the Government have lost everything and have robbed your People all their civilian rights!